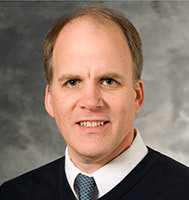 Dr. Ritter is board certified in allergy and immunology. He earned his medical degree from the University of Wisconsin School of Medicine and Public Health (formerly UW Medical School), Madison, WI. He completed his internship at the Georgetown University Medical Center, Washington, DC and completed his residency and fellowship at University of Wisconsin Hospital and Clinics, Madison, WI.